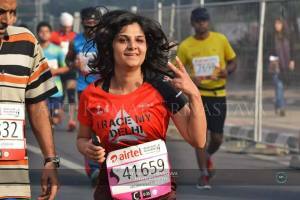 I ran in the Airtel Delhi Half Marathon, the much awaited running event of the year, yesterday. The weather was perfect, the atmosphere electrifying and buzzing with energy and the event was impeccably organised. 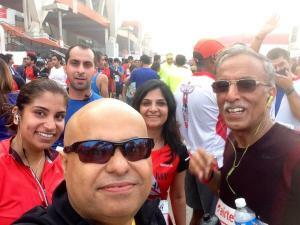 High-fiving the runners on the way, looking at the Kenyans and Indian elite runners fly by, pausing to look at Rahul Bose and the Blade Runner, enjoying the beats of the dhol – I felt strong and happy during the 21 kms stretch. 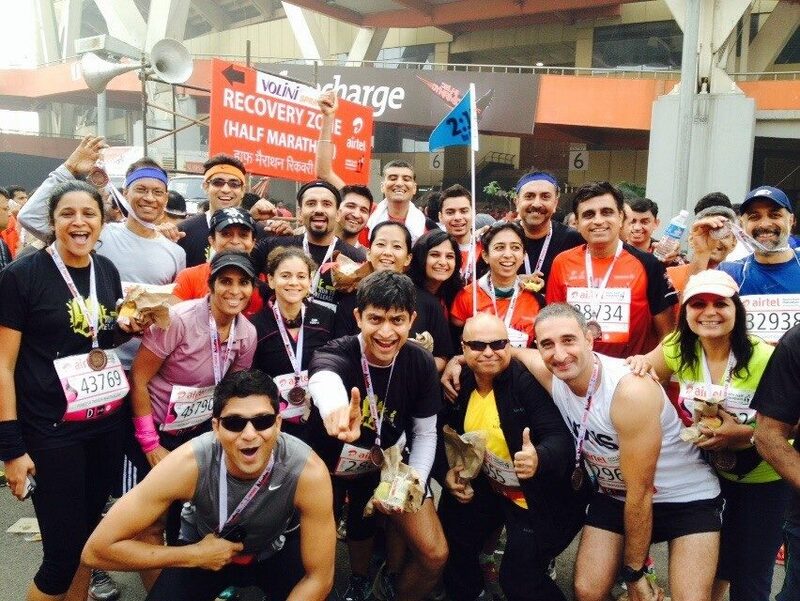 But then the moment I reached the finish line, I kept hearing only one question – “Kitna?”. It was as if the whole stadium had just one conversation going – finish time. Is finish time the only thing that matters? I understand we all have our target finish times and share them with our close running buddies. But is that all? Wouldn’t it be nicer and warmer to ask “Did you feel strong?”, “Did you enjoy your run?”, “How are you feeling post run?”, “Did you enjoy your first?”. When you meet in person, aren’t these better conversation starters? Bragging aur liking ke liye toh facebook hai hee. By the time I was asked the same question the 10th time, I got cranky and started giving ridiculous responses. Running to me is sacred. Running is my form of recreation and fitness. Running is solace and meditation. While we all may have started running for different reasons, those who have stuck to it certainly did because of our love for it. Somehow that love doesn’t come through in the post run/event conversations. It’s overtaken by just one aspect of the sport – time. I’m not a great cook but I love to experiment with various ingredients and end up getting lucky sometimes. I had Basa fish on my mind when I wanted to try out something with Cajun seasoning wasting away at home, but a Bengali bhodrolok I met at David’s (the best shop to buy your fish and prawns in Gurgaon) convinced me to buy Sole fillet instead. I can’t thank him enough for introducing me to this soulful, less smelly fish. This preparation wouldn’t take more than 20 mins of your time. It’s healthy, delicate and fills up your senses. Rub salt and squeeze one lemon juice on the fish. 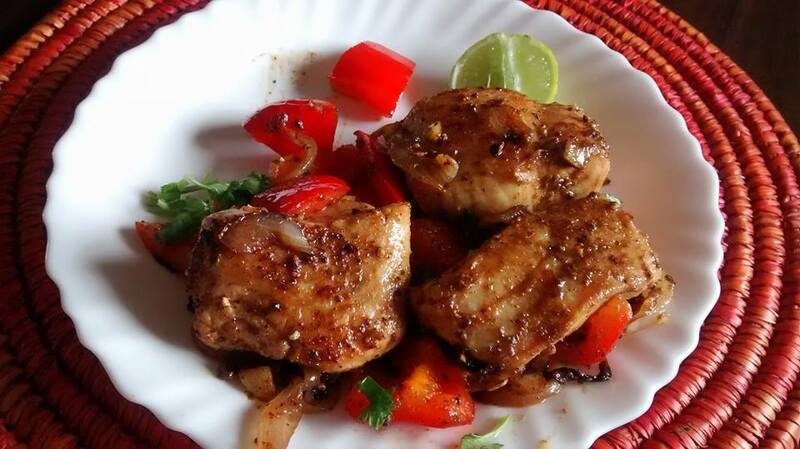 Marinate for half an hour. Wash the fish, mix 2 tbsp (or to taste) Cajun seasoning, a pinch of salt and two 1 tbsp of olive oil. Set aside. In a flat pan, saute garlic, onions and bell peppers in little oil. Keep aside. In the same pan, pan fry the fish. It takes approx five minutes to cook on each side. Toss the sauteed vegetables with the fish. Sprinkle black pepper and salt as required.